If I’m being honest, I’d have to say that the Christmas season and new years just didn’t seem “festive”. It may have been the weather (it has been getting up past 80 degrees here at times), but I’m not quite sure exactly what it was. To help it to feel more like winter, we agreed to play broom hockey with my friend’s church. A good time was had by all. Out of the 50+ people who played, I was far and away the highest scorer with 5 goals. I was a true MVP that night. We won’t mention that the average age of everyone on the ice was 13. 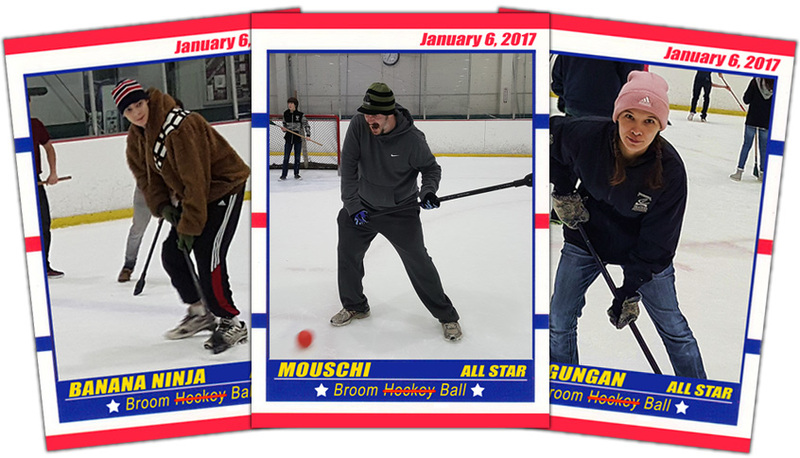 Since my whole family was on the ice, I decided to have some fun and make a few cards to commemorate the night that I dominated all of the children. I only fell like three times, but let me tell ya – at 36, when you fall on the ice, you *feel it* in the morning. A good time was had by all. Until, that is, last night when my phone fell out of my pocket. It fell from 2 feet onto the ground and was toast. $225 later, I’m up and running. A word to the wise: If you have a Samsung Note 5, get a case. I’ve seen snowflakes that are stronger! It is ironic that I was falling all over the place on the ice, and my phone made it out unscathed. NOW, onto my collection. Hanging with Jose at his house in 2015 was the best thing to happen to me in this hobby. Because I’m a cardboard crack addict, I still remember a few of the cards I missed out on because I was driving to his house. (How messed up is that? 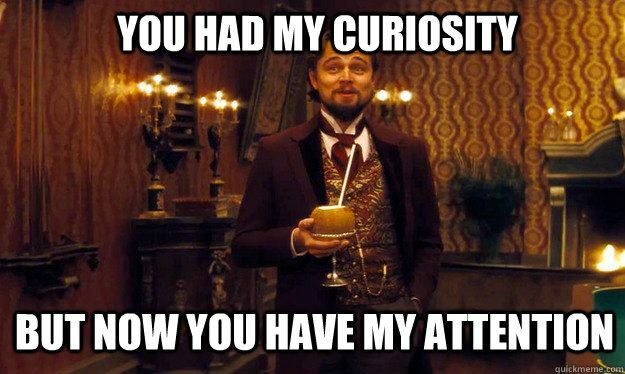 Being upset about missing out on pictures of the player you are about to hang out with.) 2015 was still huge for my collection. 2016 was bigger. MUCH bigger. I picked up a slew of 1/1’s and other rarities for my collection, plus I put together my searchable website displaying all of my collection. Over half of the items displayed in the “favorites” section of my website (including customs) are from 2016! The thing that sticks out the most for me, is when Bob surprised me (and that is a HUGE understatement!) by sending me two of my white whales for absolutely FREE. The 1988 Topps Cloth and the 1989 Leaf Blue Chips. The kindness has surely not stopped there. Two days ago, forum member RandyB sent me a 2016 National Treasures Notable Nicknames autograph. Thanks so much Randy – I love it! 1994 was the first year that Score entered the parallel game. In addition to the regular, they also produced a “gold rush” parallel. Apparently, it was a hit, because in 1995 they repeated the Gold Rush parallel. 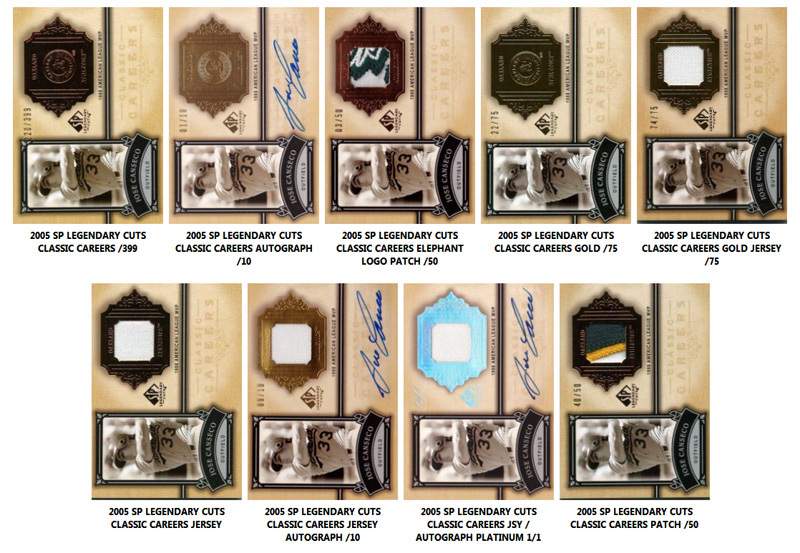 In addition to this, they upped the ante by offering the following promotion: If someone collected an entire team set along with a platinum redemption card (1 in 36 packs), they could send the cards in and receive a platinum team set. While most gold rush sets were returned back to the collector along with the platinum set, some were returned with holes in the form of the Pinnacle logo in the corner of the Gold Rush cards. While many of these were likely thrown out for being “ruined” with holes punched in them, the general understanding was that the vast majority never were punched, because the platinum set requests overwhelmed Score. In fact, no series two cards have surfaced as having been hole punched. It is funny to think that the “ruined” card is now seen as *significantly* more valuable than all other versions of the card combined. Several months later (about a week ago from this writing) it showed up in my mailbox! Thank you again SO MUCH Spike. It is awesome! There is just something about landing a MEGA rare card from 20+ years ago that feels special. 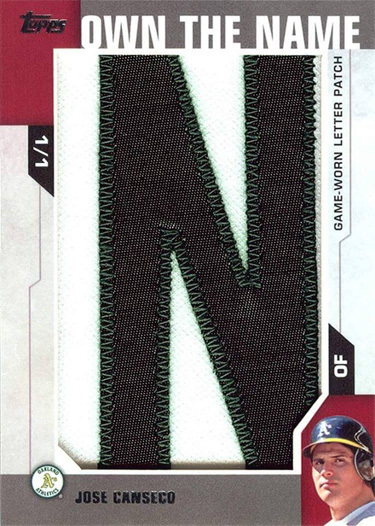 It is an itch that no new auto/patch card can scratch. 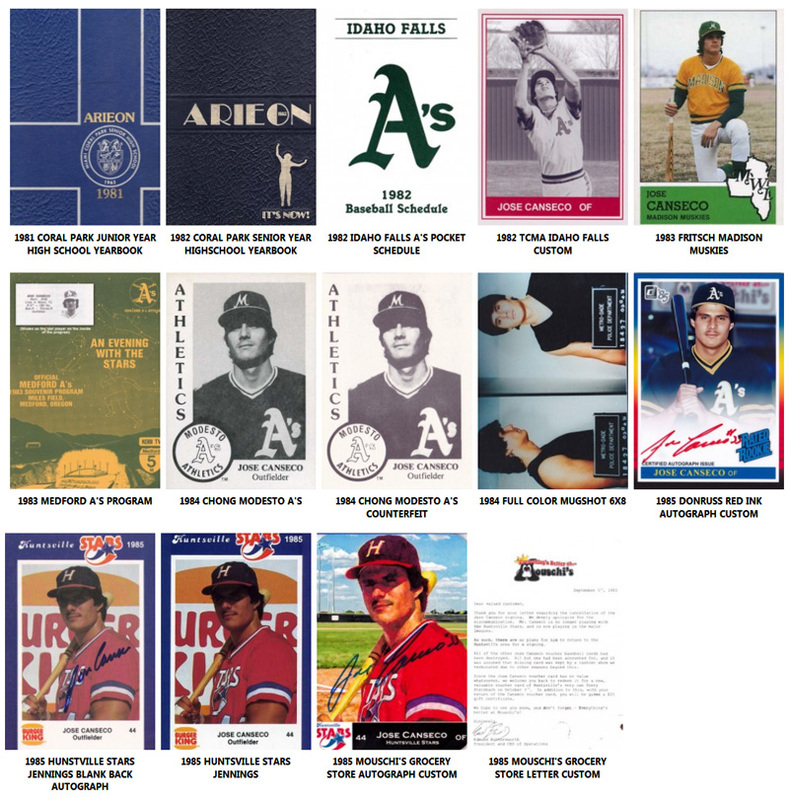 While some of the following cards are from the very end of 2016, I have not loaded them into the website, so I decided to lump them in with my latest 2017 acquisitions. While there is a LOT of 2017 left to go, I’ve got to say that I’m extremely optimistic with how it is going so far! 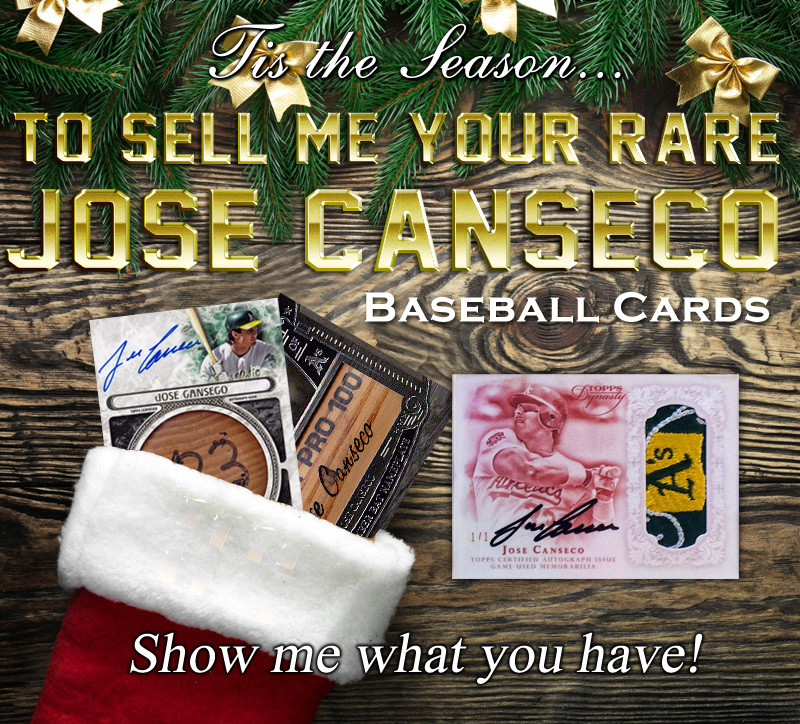 For the Christmas season, I decided to have a little graphics fun to show people I’m looking for Canseco cards, so here is what I came up with. I’m not sure it helped, but I had fun making it and thought it turned out cool! If you lived through the 90’s and busted packs, the odds are you loved Fleer Ultra. Beginning in 1995, they joined into the parallel game and offered a gold medallion version. They were gaudy (though they simmered down), cool and different. 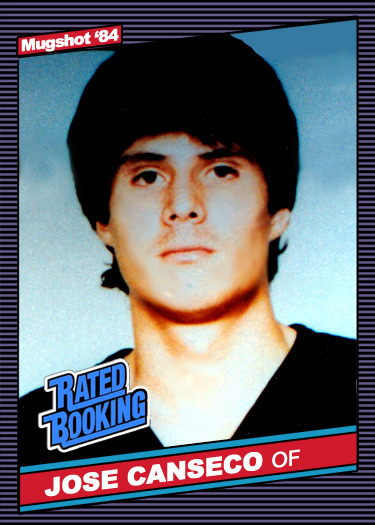 They only came about one to a pack, so pre-internet, you would have a difficult time finding the guy you collected. 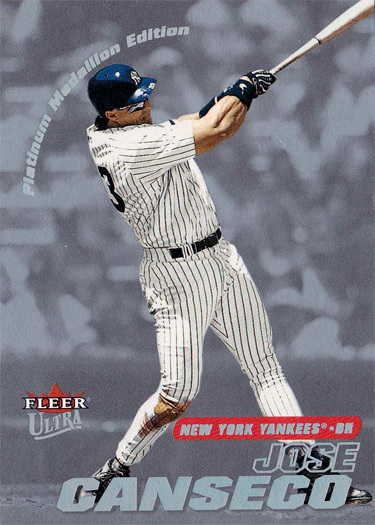 In 1997, Fleer upped the ante and introduced the platinum medallion. These reportedly came 1 per 100 packs. 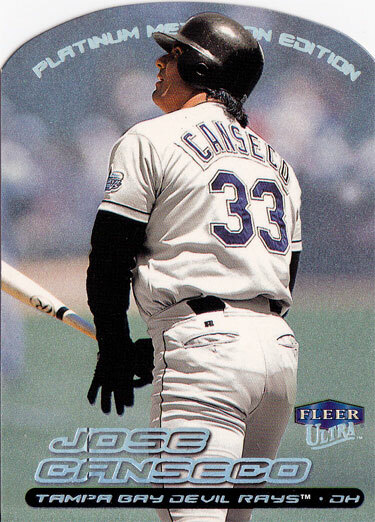 C’mon, Fleer! That just ain’t fair! After 1997, I don’t believe they even stated odds, so they probably got much, much tougher. With 7 out there for Jose, I would say I have been very fortunate to have landed 4 of them, and to my recollection, they all came from supercollectors like Paul who sold out. Worthpoint shows a mere 14 TOTAL Platinum Medallions having been sold on Ebay in the past decade with 12 of them being the ones I already have. That’s right. In the past DECADE, ONLY TWO have popped up on Ebay out of the 3 that I needed. Until 3 weeks ago. Someone posted this for sale … the only die cut platinum medallion made! It it beyond beautiful and is numbered to 50. So at that point, only 3 have shown up on ebay in the past 10 years that I needed. Until 2 weeks ago. The last one made. 2001 Ultra Platinum Medallion #/50 as well. Yankees! So now, that means in the past 10 years only 4 had shown up of the last 3 that I needed. My favorite of them all! This card is numbered to 200, yet worthpoint shows it having NEVER hit ebay before. I’ve even heard things in the past about this card being incredibly tough. So why have cards with 1/4th of the production run shown up before, yet this one never has? The serial number will probably fool a lot of people. He has a platinum medallion in series 1 as well (the Red Sox version shown below.) I am absolutely clueless as to what makes the A’s version so incredibly tough. Here is the entire run! 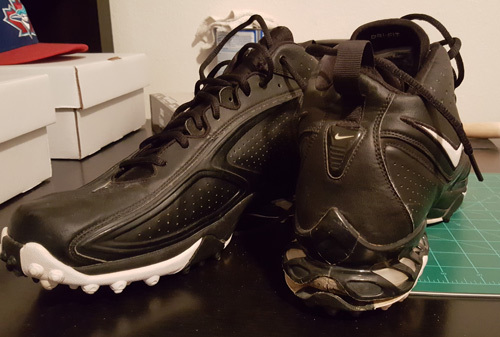 That isn’t the only crazy rare 90’s deal I did. This one is probably both much more rare, and much less known. This probably looks a lot like a base 1996 Fleer card to you, right? 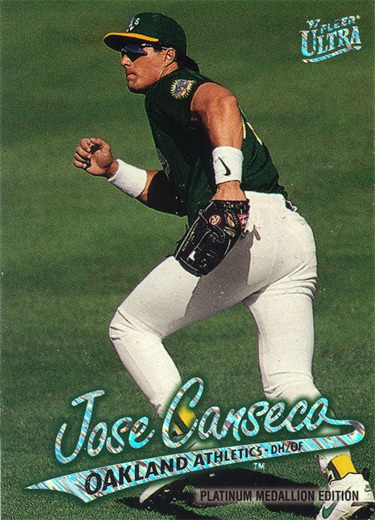 Back in 1996, Fleer made a team set version, matte version with gold foil, and a tiffany version with silver foil. A few years back, a few variations came to light: The 1996 Fleer matte version with silver foil and a tiffany version with gold foil. Not only are they INCREDIBLY difficult to track down; they will easily slip through the cracks if someone doesn’t know what to look for – or heck – if they are in sleeves! 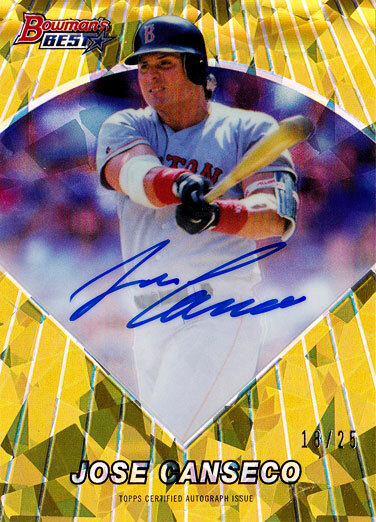 It is one thing to complete a run of newly produced cards with autographs, but completing a rainbow like this means so much more to me. This doesn’t even have an existing back story to my knowledge, and I love the run. Look for these variations to be more well known (and much more pricey) as time goes on! It wasn’t an easy deal, by any means, but it actually put a cap on a deal I have been trying to do with him for several months. 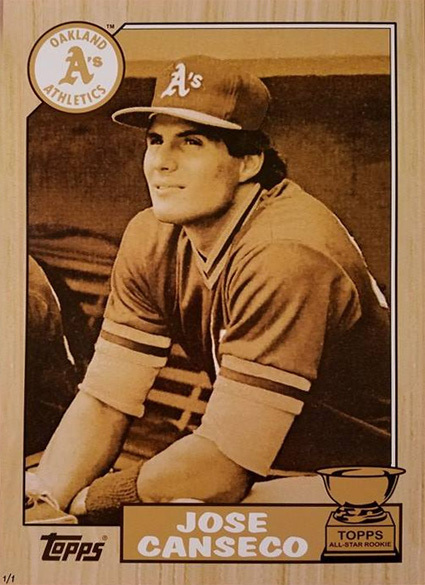 A half a year ago, David from the forums wrote me out of the blue and told him a card shop pulled an Own the Name Canseco card. I was MEGA pumped about it, and ended up getting it. 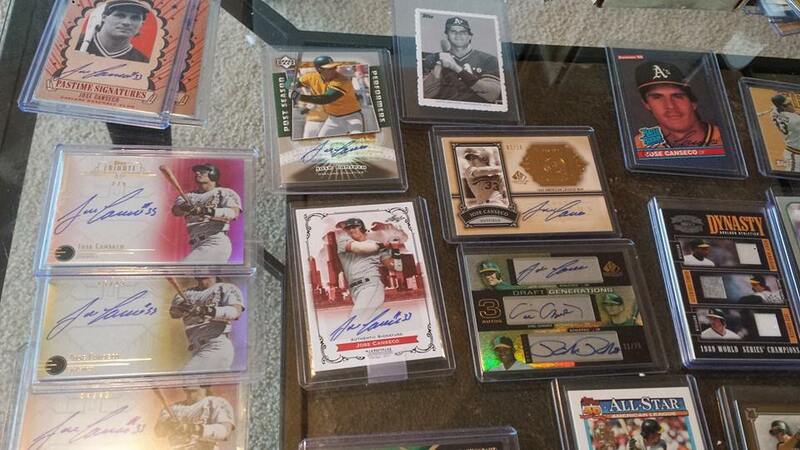 David has since sent me a free Tek Canseco auto (thanks David!) and keeps me in the loop if he sees anything. 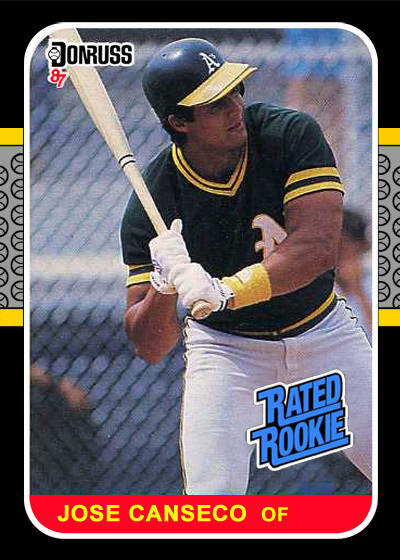 A month or so later, I saw ANOTHER Own the Name Canseco pop up, so I pulled the trigger. While having one letter is great, two is better; but if I had my druthers, I’d choose having 2 different 1/1 cards. Curtis had an Own the Name of Canseco from 2014 (the first year one was released), so I offered to make it worth his while by sending some cash his way on top of my letter for a letter swap. He thought it over, kicked it around with his students (who, as I recall all overwhelmingly said take the money from this fool!) but he ultimately declined. This was a bummer for me, because to my knowledge, only 2 exist at the moment for 2014 for Jose, (at least that have surfaced) and I know where both of them are … NEITHER being in my collection. I’m very happy to have a representative from each set, now! Doing the N swap wasn’t the only high end trade I did for the sake of reducing redundancy. 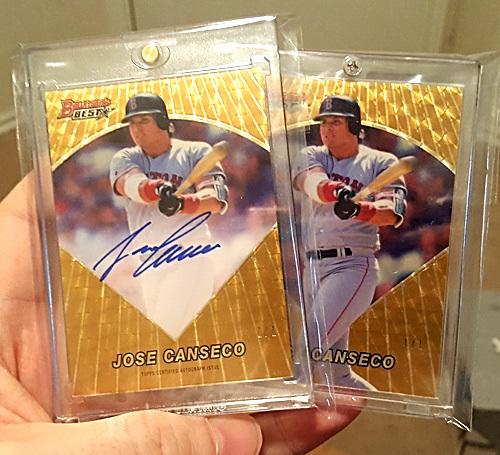 Within a week or two of the 2016 Bowman’s Best release, I was able to get my grubby little paws on BOTH Canseco superfractors. One auto and one not. This is a big deal for me, because he only has 4 total supers at this point. I also have the atomic, which, imo is the most beautiful card in the set. While I’m at it, I want to give a shout out to IndyKMB for sending along the atomic non-auto to me. He posted it on the forum and I reached out to him. His response was “I’m way ahead of you Mouschi. I had planned on sending to you. Send me your address and it is yours!” Thanks so much! Anyway, having both supers is AWESOME, but it seems a tad redundant. Don’t get me wrong, I would be UBER happy with both, but I received a trade request for the non-auto superfractor for something really special to me. To me, this card is beautiful, and was in love when I first saw it. When fellow Cansecbro AJ reached out requesting my superfractor non-auto, I thought he was CRAZY. I mean … who does he think he is? Well … he offered up this. Faster than a speeding bullet, I said YES. Especially since I already had the superfractor auto. It was a deal that made perfect sense for both of us, given what we each have in our collections. I have very few “older” 1/1 cards this old, plus, it is one of my favorite designs. I have a nice little run of these cards as it is, so having them all together is great! 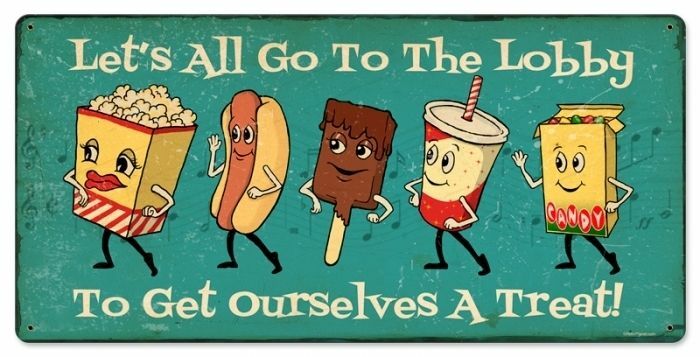 This is quite possibly the only super easy deal AJ and I have ever done … and maybe ever will do, LOL! I already have several used workout shirts/shorts/etc. of his, but this is photo matched, so I thought that was cool. One of the reasons I did the deal was because I already had another ’16 Tek auto plate 1/1, and was able to add this nice ’15 tek 1/1 auto. Here is a pic of my 2015 Tek run! I don’t know why, but I like these huge cards for some reason. This marks my 7th 10×14. I was able to find top loaders for them, so I’m cool with having them. 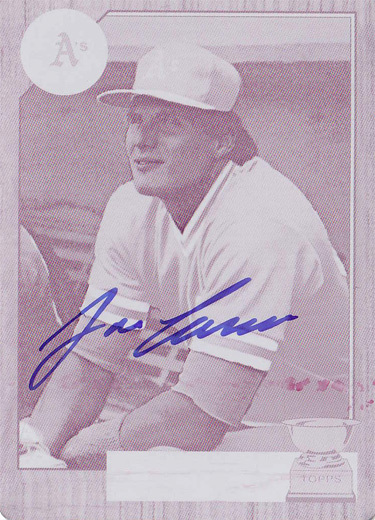 Plus, adding to a variation of an existing card’s “rainbow” is always appealing to me. 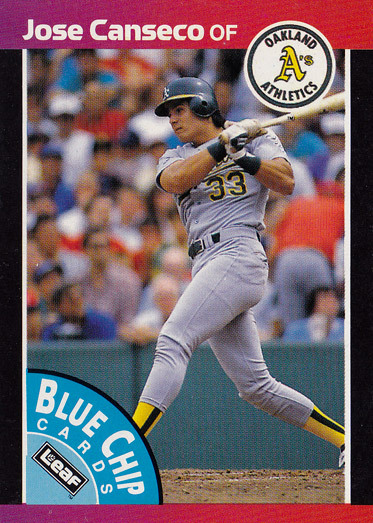 ESPECIALLY when it is a variation of the card that was my first exposure to Canseco. The 3 things I love about this plate are: 1) It is of the 87 Topps design, 2) it is on card … errr … on plate and 3) it has an ink streak. I think that is cool to show even more evidence that it has been used. I thought it was pretty fun 🙂 Especially now, since I can add 4 more to it! As you probably know, I am first and foremost a card guy. I don’t do magazines, newspaper clippings, starting lineups, etc. I’m pretty particular with my collection when it comes to things outside of cards. These next two pieces have a very good reason to make my collection their home. This has some interesting history. Based upon my research, (much of it thanks to many helpful folks on the forums!) it looks as though that baseball teams would produce these to send to news outlets so they could use these pictures whenever they ran a story on that specific player. This was apparently property of the Sporting News, (as shown on the hologram on the back) and shows crop marks, notes, etc. For all intents and purposes, this is an original “rookie” publication piece, dating back to 1986. It is something I’ve never seen before, and after spending more time than I care to confess googling it, I came up empty handed. The only thing I found similarly was a Reggie Jackson version of this, and it wasn’t for sale. This is one of those rare times when it is a GOOD thing that you search for something and cannot find it anywhere. The final thing that makes this piece so interesting is this. Notice anything familiar with the head shot? 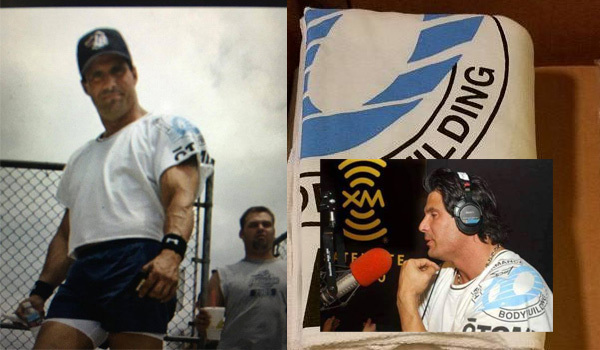 This picture was taken seconds apart from the picture shown on the most famous Jose Canseco card ever. I actually thought this was the same picture, and it was important to me for some reason that it was previously. Now, I’m happy that I have a second photo from the same famous photo shoot. It could have very well been the picture Donruss used instead, but for some reason they chose the one they used, and Sporting News / other news outlets got this one. Ehhh … that’s not exactly what I had in mind. C’mon, now! That is just blasphemy! I think the black & white with the colored design looks really, really good. 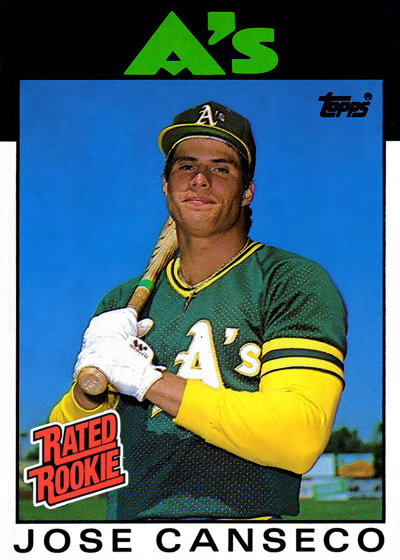 Without this picture, I had considered photoshopping an 86 Donruss Rated Rookie of him blinking or smiling bigger … something like an “outtakes” version. 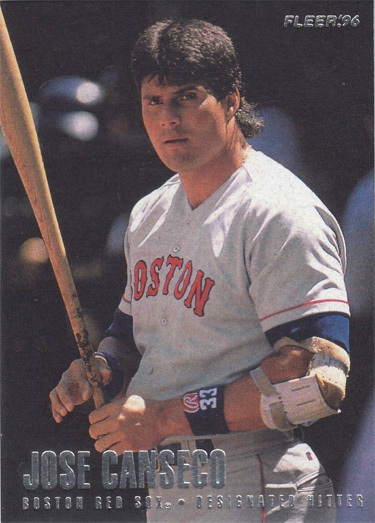 This rookie publication piece is significant to me because the photography was from the most famous Canseco photo shoot ever, and comes from the Sporting News Collection. It may not be the only one, but it is likely the only one from the Sporting News with crop marks, and I’ve never seen another out there. Jose has had run ins with the law. 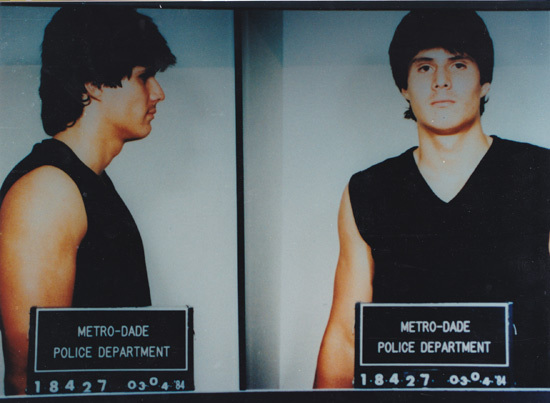 One very infamous photo of him is his mugshot. I thought it would be fun to use the mugshot with a “WANTED” message for cards I wanted. Here it is (though I don’t use it anymore). When a piece like this comes up, you don’t mind that it isn’t a card. Before I saw this, I had never seen it in color before. I’m not sure if this is a copy, or if it is the only one that came straight from the court house. All I know is I’ve never seen one like this before and could not be happier to have this in my collection. It makes it much more meaningful to me that this is a unique version of a very popular mugshot. From what I recall, the ’81 year book is the first publication with him in it. The ’82 year book is the first publication with him playing baseball (his senior year.) The ’82 pocket schedule is from his first professional baseball team, and the ’83 medford program is the first (known to me) publication showing him playing professional ball. ANYWAY, back to the piece I picked up. 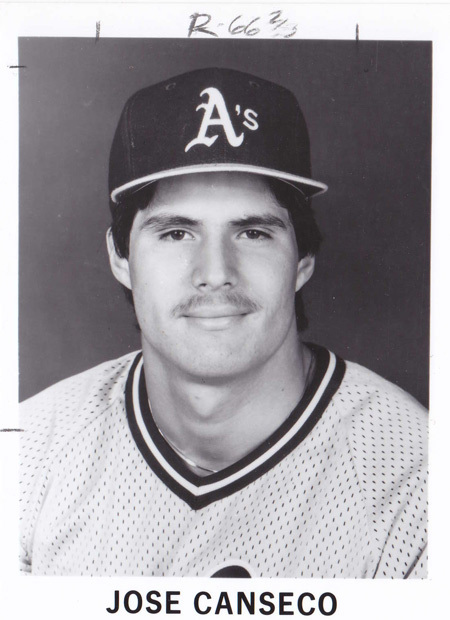 The mugshot is from 1984, well before he stepped foot onto the field as a member of the Athletics. Even though I generally say my collection is all about the cards, pieces like this fit into my collection *perfectly*. While I may never know the true story of this picture, I tend to believe this does originate from the booking, since it is so famous and I’ve never seen one exactly like this before. While it would be great if this were the only one in existence, I wouldn’t see it as being too far fetched to say the jail may have printed off multiples, but then again – it isn’t like he was a known person back in 1984, so who knows? 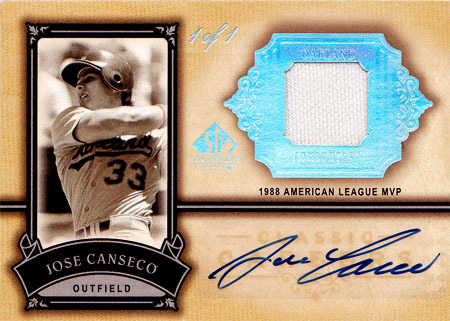 Either way, I’m glad to have a great piece of pre-mlb Jose Canseco history in my collection. With a piece like this, how can it not spill over into some form of (digital) cardboard? Alright, so I know this has already been ridiculously long, but I do have one more thing to talk about. I may be writing more in depth about it later, but I am truly saving best for last. 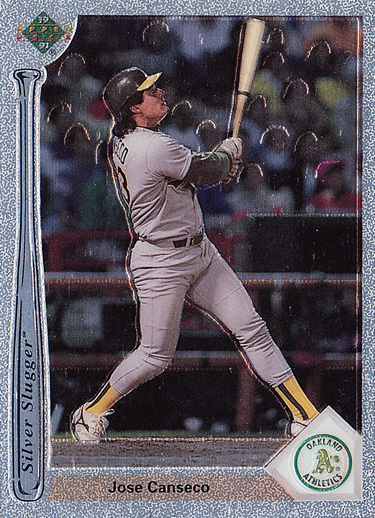 One of the most innovative things to come out of the 90’s in the way of baseball cards was the chrome technology. 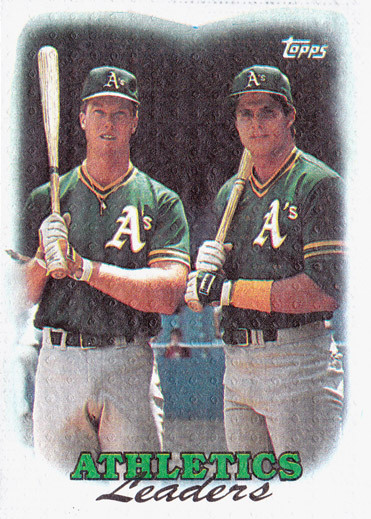 Collectors were introduced to the highest end baseball card ever produced at the time: 1993 Topps Finest. This is also where the refractors first came from. 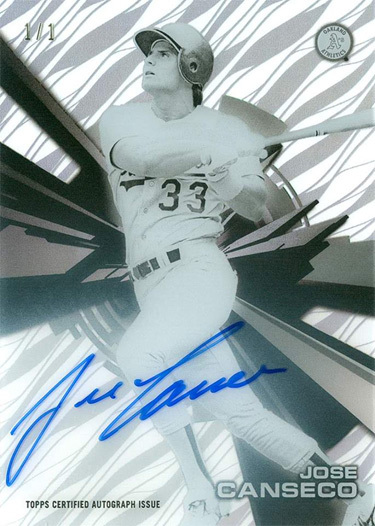 Many of the most significant modern-day rookie cards are from Bowman Chrome. 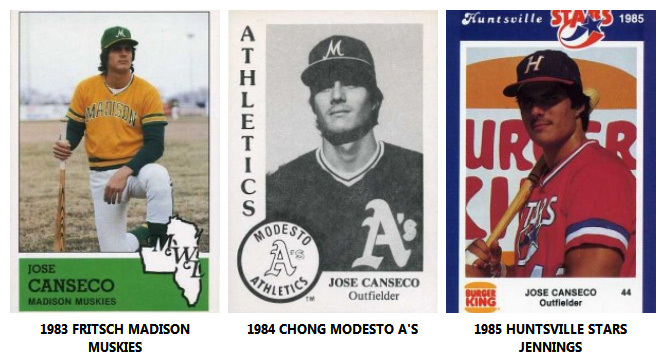 But what if I told you that Topps wasn’t the first to use Chrome? 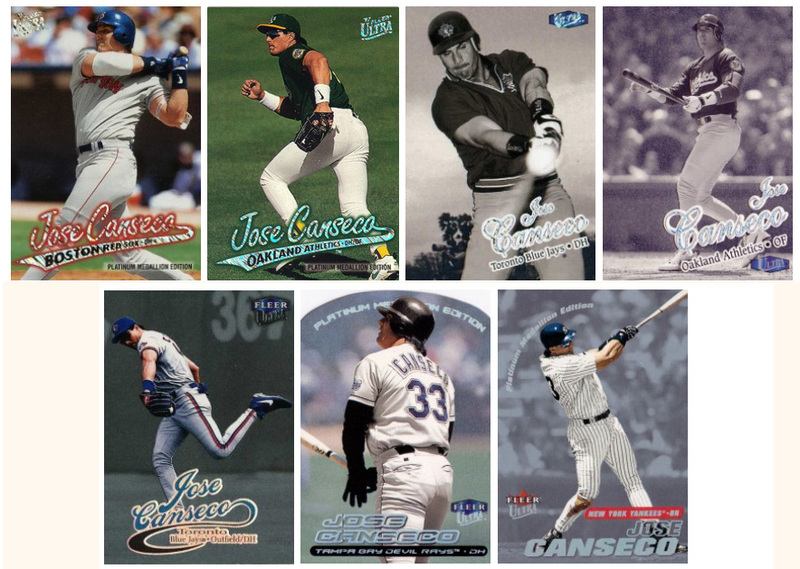 What if I told you that Signs & Glassworks / SGW / Chromium Graphics first brought it to another company before Topps? 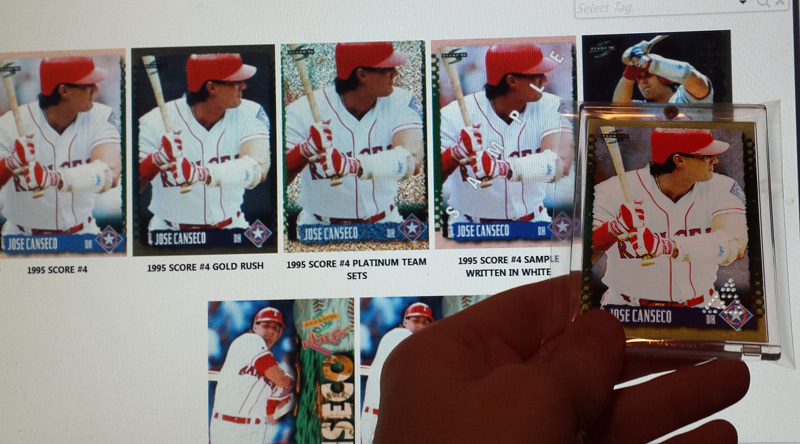 Yes, folks – we may have been close to having Upper Deck Chrome cards. This story is very intriguing in and of itself, but guess what. The sales director had these samples in storage and decided to get rid of them. 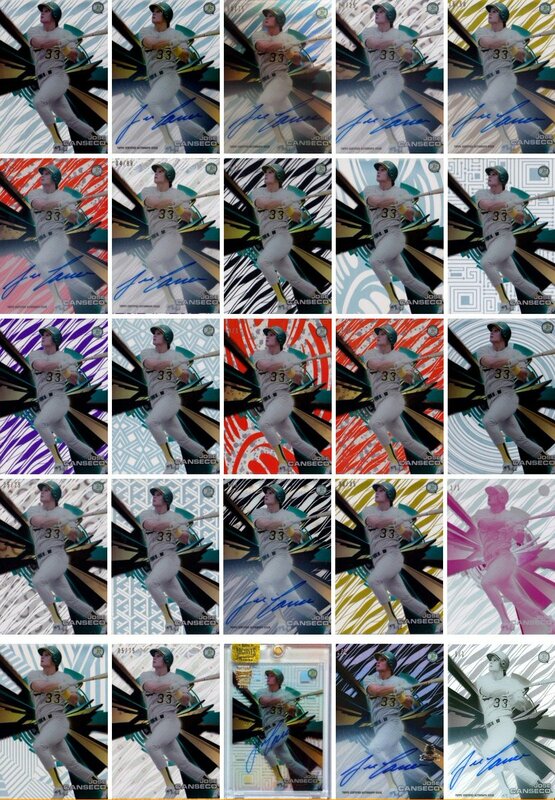 Many of these samples were prototypes and tests of various Topps / Finest cards, utilizing different effects. 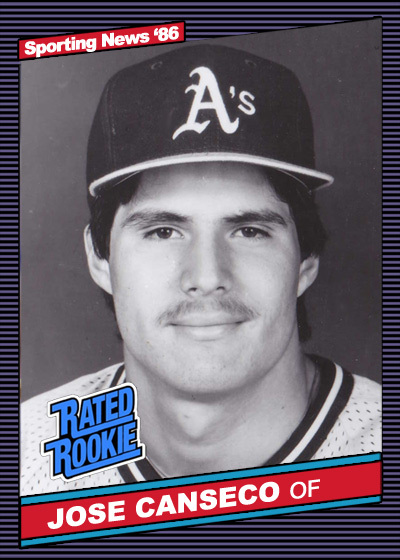 Immediately, I reached out to Ryan to see if he had any Canseco prototypes and sadly, he said there were no Topps / Finest / etc. pieces of Jose. He did have something much … much … MUCH better. It took months nail down a deal, but it was totally worth the wait, and I am so happy it is in my collection. Ladies and gentlemen, (wait, who am I kidding?) Boys and and older boys, I’ve talked a LOT about the importance of a back story for cards. A simple little history of a rare card can truly make the value of a card skyrocket. I LOVE the stories of the 1988 Topps cloth tests, the 1989 Blue Chips, the 1995 Score punched cards. This story / historical significance on this piece blows all of them away. It is a hugely significant piece of modern baseball card collecting history with one of the best back stories I’ve ever heard. It is the tangible evidence of when our hobby was at a fork in the road. One of the main reasons I create custom cards is for my love of being able to flesh out “what if” scenarios of the cardboard from our childhood. 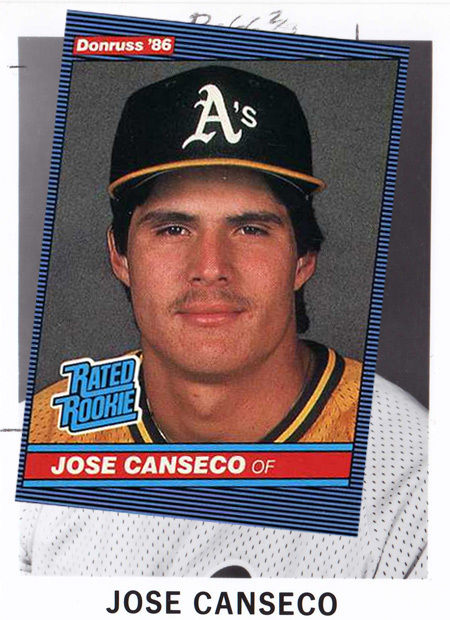 That is why I get a kick out of making a 1987 Donruss Rated Rookie Canseco, a 1992 Donruss The Rookies Derek Jeter. It is the reason I had a blast creating a mock up of a current release of Fleer Ultra baseball. 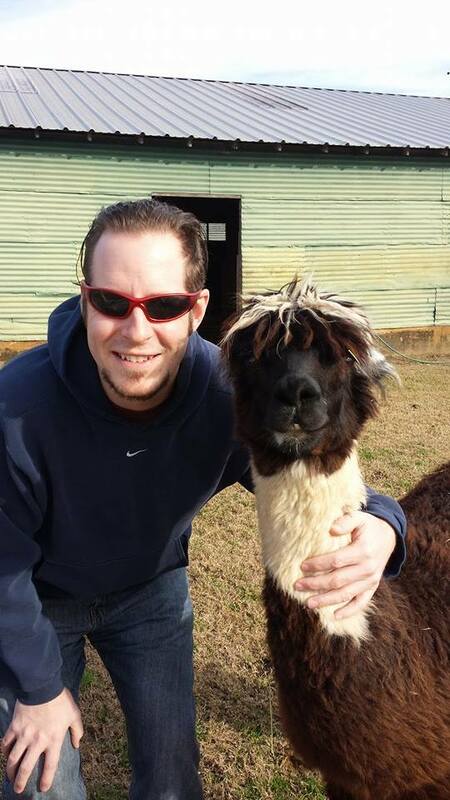 And here I am, holding the genuine article. A piece of what could have been. 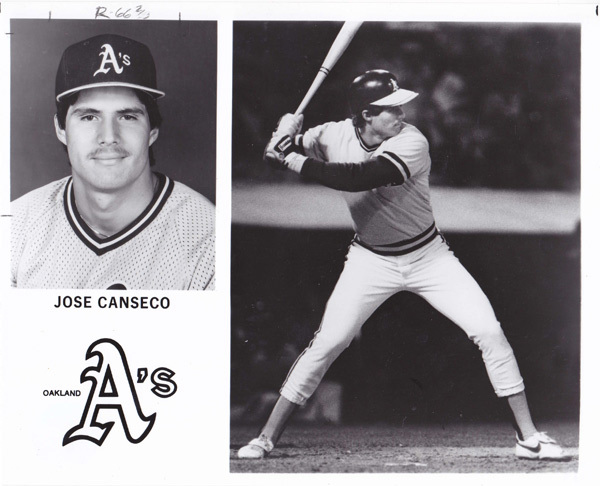 This likely will never be checklisted, because there are so few of these (only 3 known Canseco), and that is ok. These are way too significant for ANY checklist to add any value to what they are to me. This piece is like an unknown holy grail. I’d be VERY curious to see what some would go for at auction. The entire card industry would have changed if UD weent with this. Always love seeing what you find – this is really cool! I wish I could find something like this of McGwire.